January 12, 2015 — “You mean there’s a dead guy under this thing?” The boy was probably 12, and he was showing the appropriate amount of skepticism for an old white stranger who pulled up to his neighborhood park in a car with way-out-of-state plates and a camera at the ready. “This thing” was a nine-foot-tall stone obelisk surrounded by a wrought-iron gate and topped by what looked like the Death Star. “Hey!” the boy yelled to his friends perched on a branch in the tree that was shading us from the summer sun. “He says there’s a dead body under here. Did you know that?” One of the boys in the tree gave a noncommittal response. At the clamor a couple of other kids pulled up closer on their bicycles but didn’t try to engage me. Suddenly I was surrounded by young black boys watching me dutifully photograph the monument from every angle. 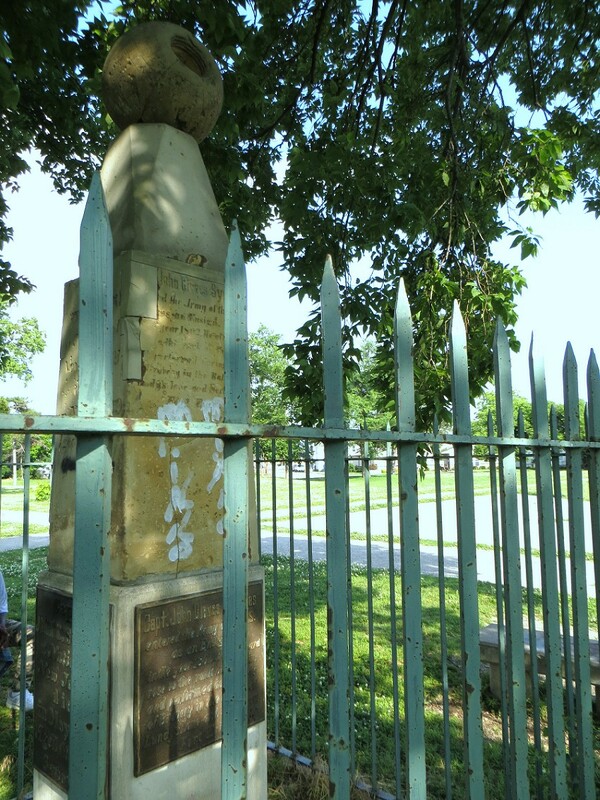 In fact, the entire ground on which their BMX’s kickstanded—Ludlow Park in Hamilton, Ohio—used to be a graveyard. Many of the bodies had been removed long ago, but the story went that the body of the man whom the obelisk marked still moldered below his monument. Various plaques and inscriptions on a memorial that seemed cobbled together from old and new bits told the story of the man. His name was John Symmes. 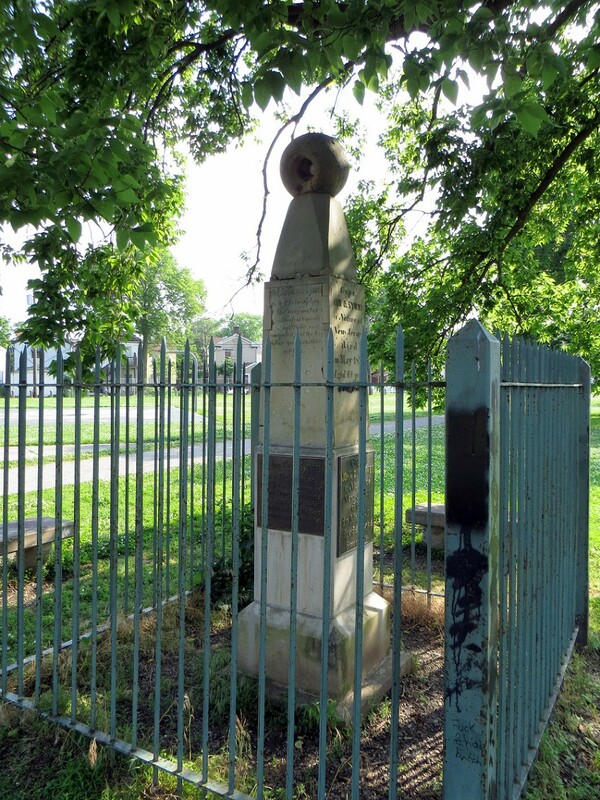 He was born in New Jersey in 1779, was a veteran of the war of 1812, and died in Hamilton in 1829. The reason he got a monument instead of a gravestone? He believed the planet was hollow. 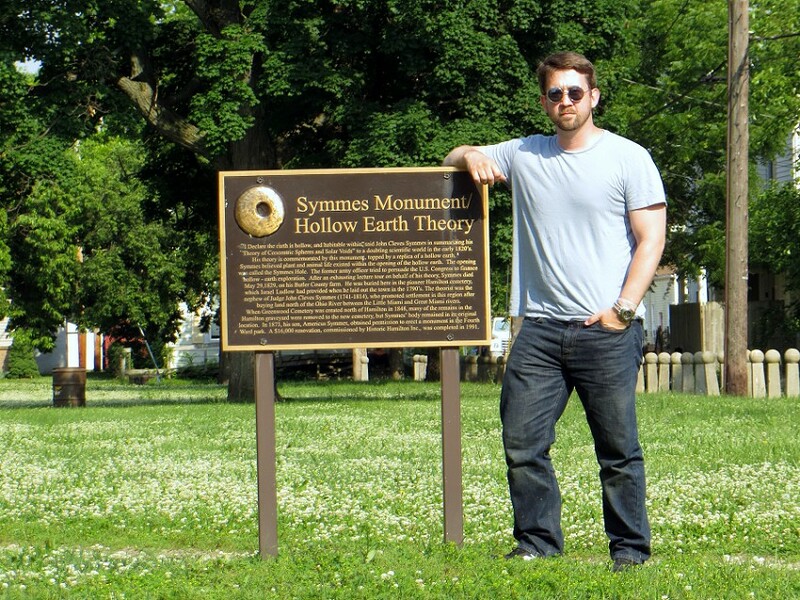 The Hollow Earth Theory wasn’t a new one when Symmes started evangelizing it in 1818. Scientifically, some trace it back to the 17th century and Edmond Halley, the comet guy. Mythically, it goes back even further, much further, in fact, than Christianity placing Hell’s zip code directly beneath our feet. However, Symmes really popularized it by lecturing about the habitable concentric spheres he believed made up the interior of the planet and the 1,400-mile-wide opening to them at each pole. Symmes Holes, they were sometimes called. He even got the government to consider funding a mission to prove their existence. Still, it was a fun theory to play with. Jules Verne sent us to the center of the Earth. Edgar Rice Burroughs set some good times down there. Even Edgar Allan Poe perforated the planet a few times, with references to pole holes in "Ms. Found in a Bottle," The Narrative of Arthur Gordon Pym, and "The Unparalleled Adventure of One Hans Pfaall." I love the Hollow Earth Theory. That we are only the skin of some great, expansive reality thrills me. That below us are dinosaurs or Morlocks or that our world is merely an egg gestating some massive creature makes me happy. As a little kid I used to try to dig to see what was down there. I averaged about six inches on each intrepid adventure. That the center of the earth is actually dense and metal and molten and uninhabitable to humans, well, just fits the profile of a universe that hates us. 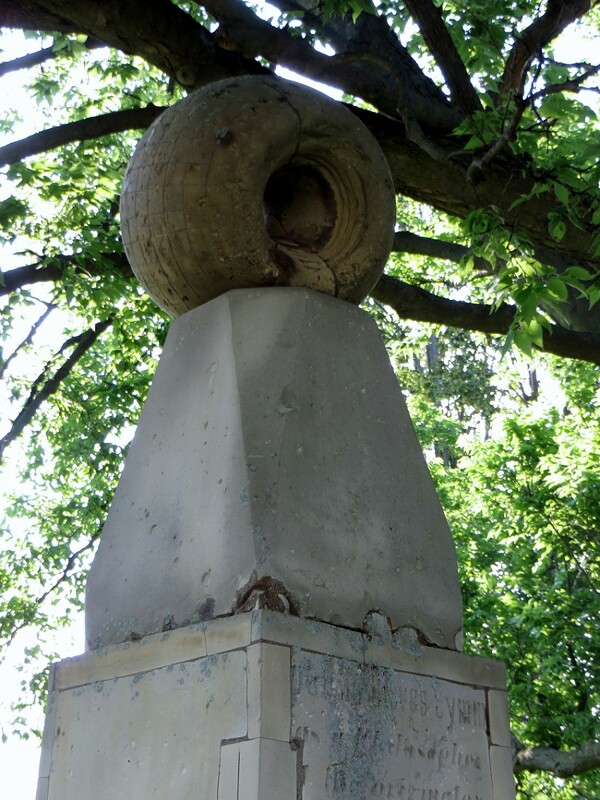 Symmes’ son originally erected the memorial, topping it with a stone sphere featuring openings on each end and criss-crossed with latitude and longitude lines (the aforementioned Death Star). The thing was refurbished in 1991, when the people of Hamilton realized they had a point of interest worth pointing at. 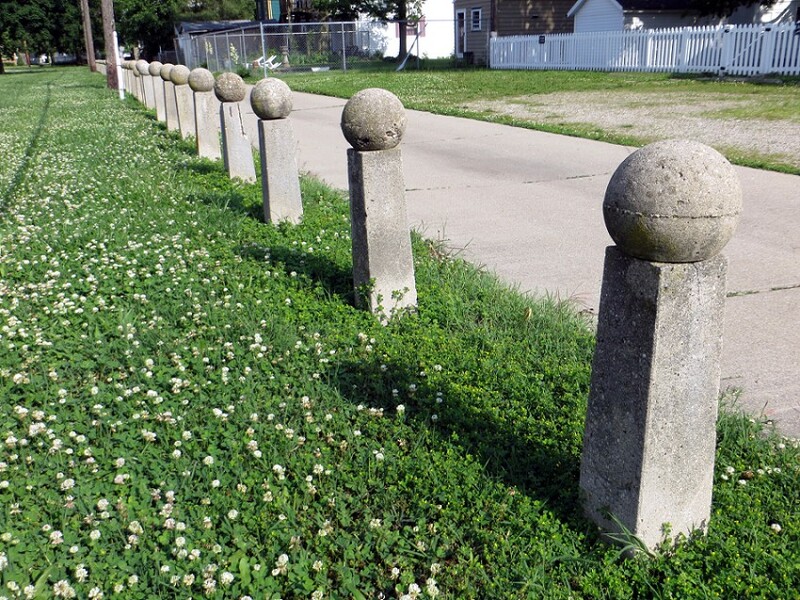 Today, a walkway in the park is also lined with globes reminiscent of the one atop Symmes (no Symmes Holes, though) and a historical sign on the edge of it explains why there’s a solitary stone obelisk in the middle of a park in a beat-up part of town. Eventually, the group of boys lost interest in me and the gated monument, much the same way that most of the public lost interest in the Hollow Earth Theory. And Symmes, well, he’s six feet closer to the truth.